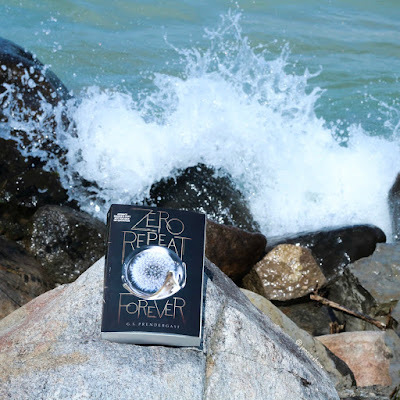 Described as a cross between THE 5th WAVE and BEAUTY AND THE BEAST, and set in the Canadian wilderness, I was all in when I received a copy of ZERO REPEAT FOREVER. I mean, an alien invasion outside of Calgary? 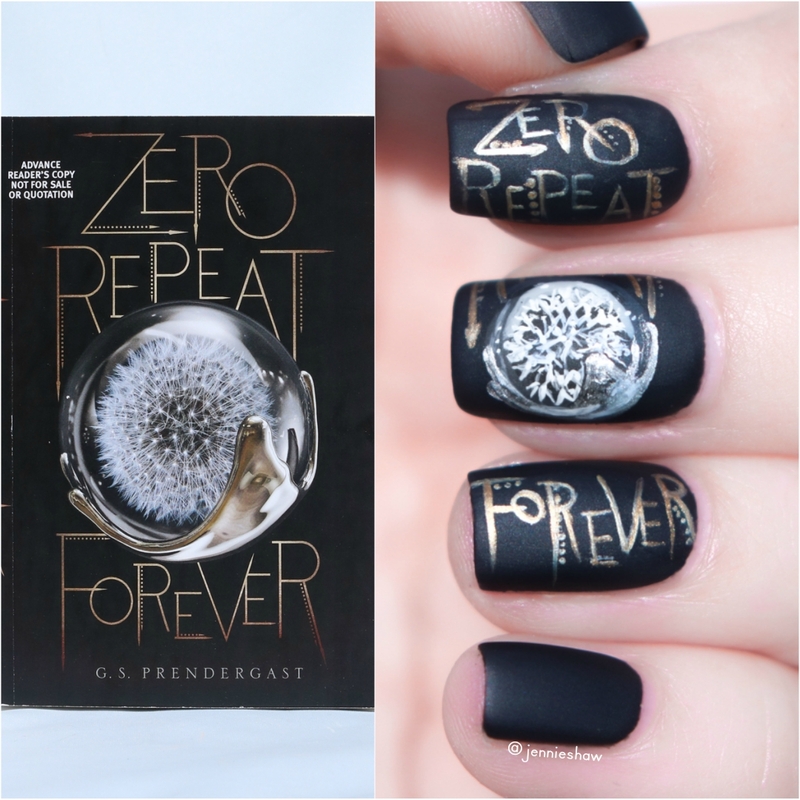 An unexpected combo of two books that I love and a cover that was made for nail art? Gimmiegimmiegimmie. So please sit back and relax while I take the next five hundred words to lovingly scream about why you need to read this book. Let’s take a moment to discuss Eighth, because in my opinion, he’s the star of the show. I’m attached to this character, people. Like for real. Don’t mess with him or I’ll come for you. Another gem in this epic YA is Raven, who acts with the authentic intensity of teenagehood. When things were good, life was perfect. And when they were bad, life was the worst. She had perfectly valid reasons to act a bit like a lunatic, naturally, one being the death of her boyfriend and then her injury, and through it all, Raven's spirited reactions were equal parts entertaining and endearing. Adding Eighth to the mix (who wasn’t the sort of guy who could level Raven out) the tension was palpable. Not that I could blame her because one minute she was basically posting a live video of a perfectly roasted marshmallow over a fire and the next, she was cut off from the rest of the world and super scary aliens were trying to kill her. Add the usual teenage drama to that mess and yeah, Raven made for a pretty awesome protagonist. The final piece of excellence I’ll mention is the cover. Coming up with a snappy title can be a real challenge, and going in, ZERO REPEAT FOREVER didn’t make much sense to me. But now it’s probably one of the more meaningful titles I’ve seen. The same goes for the dandelion snowglobe-like graphic. I’m pretty sure there’s never been a title and cover that make me want to hug a book, but here we are. The perfection is borderline overwhelming. 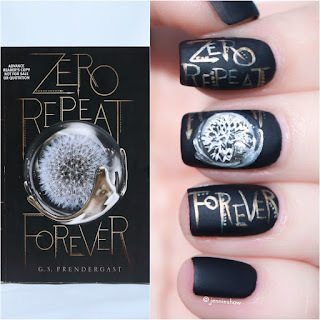 So in sum, ZERO REPEAT FOREVER is the real deal, folks. 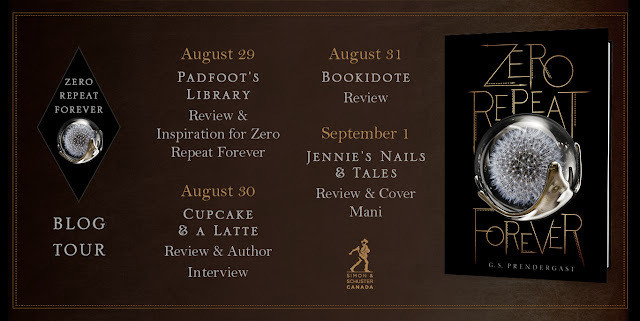 The diverse cast of authentic-sounding teens, remarkable character development, and a plot that will likely rise to bananapants status, join forces to earn my must read recommendation, especially if you’re Canadian because the coolest kids Read the North. Huge thanks to Simon & Schuster Canada for sending me an ARC! And totally adding this to my list. Whee! 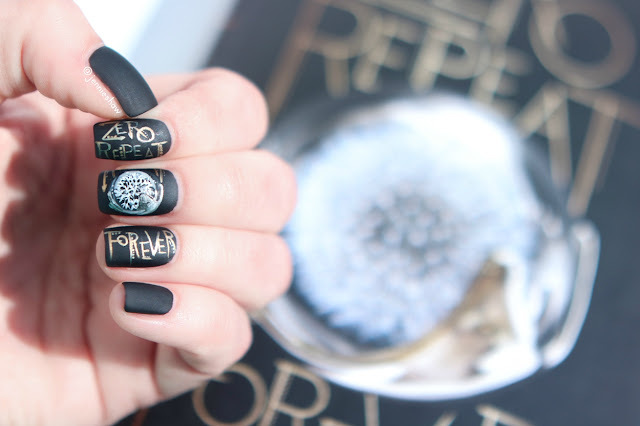 It sounds like a fun summer read, and once again your nails are AMAZING.